Learn how to communicate confidently and effectively with colleagues and employees on this 1 day communication skills training course. This Communication Skills Course is delivered as a blended learning solution in which the learner will master the fundamentals of how to communicate effectively. • To develop learners communication skills within their workplace whilst improving the communications process. • Overcome common communication barriers. • Build rapport with colleagues and others. • Understand the importance of avoiding assumptions and actively listening. • Make their communications clear and explain the importance of clarity. • Recognise that what we intend to be understood can be perceived differently. • Understand how to achieve clarity through open questioning techniques. Group exercises in how to communicate contain fun elements to foster improved communication techniques for participants, plus key learning points regarding effective communication. Participants identify common barriers to communicating effectively, identifying best-practice techniques which promote improved communication. This exercise will enable learners to understand the benefits of rapport-building with a particular focus on communicating with subordinates. Learners will understand and explore the benefits of summarising and achieving clarity in communication. Learners will be tested in their ability to listen effectively, clarify and summarise their understanding of key messages. Finally, techniques to mitigating common obstacles to effective communication are explored. This exercise will demonstrate the importance of perception in effective communication. Learners will explore the pitfalls of assuming in communication, be able to recognise when this may occur, and demonstrate how our messages may be misinterpreted. You’ll experience the benefits of your new communication skills back in the day-to-day hustle and bustle of your workplace. So how will you recall your learning back in your office when you need it most? Thankfully, we’ve an app for that. Your essential communication skills models are accessible from your mobile in handy 60-seconds reminders. Delivered in an animated style with professional voice-overs you’re only ever a mobile phone or tablet away from a helpful ‘bite-sized’ recall of your core communication skills and techniques. Helen Hinds MCIPD delivers communication skills training courses to commercial and public sector organisations to help their staff to communicate clearly and effectively with clients and colleagues. Helen is a Chartered member of the Chartered Institute of Personnel and Development. Having written an impressive portfolio of management courses for line managers, Helen brings a unique wealth of experience and insight to this communication skills training course. This expertise and experience, coupled with the fact that Helen receives the highest feedback ratings of all our trainers, means that her management courses are constantly in high demand. Helen Hinds MCIPD is an experienced and popular communication skills coach. 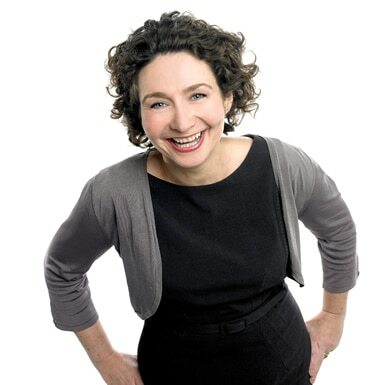 Clients appreciate Helen’s charisma, energy and strong communication skills. Helen is a Chartered CIPD member and delivers know-how and expertise to your communication skills training. Caleb Storkey coaches both owners and managers of private and public sector organisations. Caleb’s energy and team focus will motivate your employees to further develop their communication skills. Your managers will be enthused by this communication skills training that Caleb delivers.